After Phish released its St. Louis ’93 box set, which chronicles two separate concerts four months apart in that city’s American Theater, I had the idea that I would write a two-part review of the release. In the first part, I would explain how the recording of the April 13 performance fit nicely between the raw, excitable energy exhibited on the At the Roxy box set, which captured three nights at the former Roxy Theater in Atlanta in 1992, and their breakout in 1994 (most widely distributed in the form of the two-disc release entitled A Live One). That’s about as far as I got, because I came up with the idea after listening to the April concert, but I hopefully anticipated that, after listening to the August 16 performance, I’d be able to note something about the band’s noticeable growth over a short but very dynamic period in the group’s history. As those of you who read this website with due care already know, I wrote neither of those reviews. That happened (or didn’t) in not-insignificant part because I don’t think the second night demonstrated the sort of growth, coalescence, or development I had believed it might. Top to bottom, the first night clearly is better, in my opinion, and I have returned to it more often than the second. It wasn’t a mistake to include the August performance, though. The theme of the set wouldn’t make much sense, or really even exist at all, without it, of course, and if the plan simply was to release one night from 1993, maybe there were better options even than the April date in St. Louis. I don’t know. More than mere marketing logic, however, the August concert belongs because of its peaks. For example, the second set Mike’s Groove opener is solid, and the “Rocky Top” encore finisher is fun. The real highlight, though, and what I suspect was a major factor in the decision to do this release at all, is the first-set “Reba.” Listen for yourself, and have a sublime weekend. As a season, 2017 now looks quite close to the prior peaks in 2015 and 2014. If things continue as they have this season, 2017 still will be the high-water mark for penalty flags in the NFL, but the week-to-week trend strongly suggests that that is not a reasonable assumption. That trend also lends some support to the idea that abbreviated preseason training leads to worse play early in the regular season. Obviously it would be interesting to track flag rates for each of these seasons on a chronological weekly basis. A project for the offseason, perhaps. Meanwhile, since the terrible Giants have been in the news recently, an interesting note that only one team (Carolina) has been flagged fewer times than the 2-10 G-Men. * The NFL Penalty Tracker has data going back to the 2009 season, but I’m pretty confident that we are witnessing the all-time high-water mark. Feel like they never tell you the story of the Gose? and you see what I’m hunting a few steps away. and the people all watching enjoy a good laugh. the course that my tread had already traversed. invaded through what was an unguarded seam. to the cavern of shame and the hall of dismay. Before making attempts to establish my own online platforms, I took a more parasitic approach, abusing the comment sections of friends’ sites for my own purposes. With Phish returning to Atlanta for two performances this week and news of a new studio album in the works, this seemed like a good time to look back to those days and dig up my review of the band’s last studio recording. 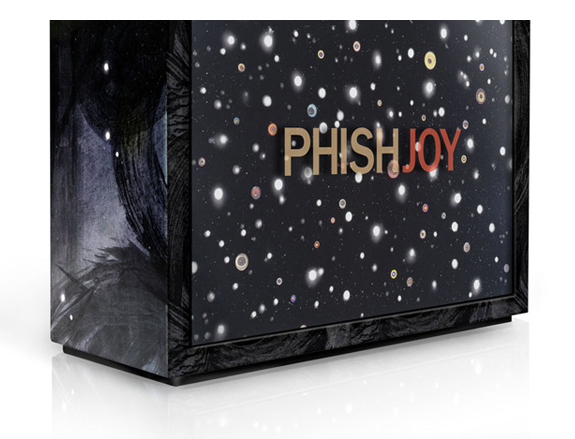 When Phish released Joy late in the summer of 2009, it was the band’s first album in five years. Before March 2009, Phish had not appeared in concert since their two-day farewell in Coventry, Vermont in August 2004. Among other events, that five-year period saw the arrest, serious drug rehabilitation, and newfound sobriety of frontman Trey Anastasio. When Phish made its collective return to recording with Joy, longtime fan Chantyce was not impressed. I had a different reaction, though, and my responsive review from October 14, 2009 is reprinted below. Super Bowl XLVII Recap: Where do you go when the lights go out? 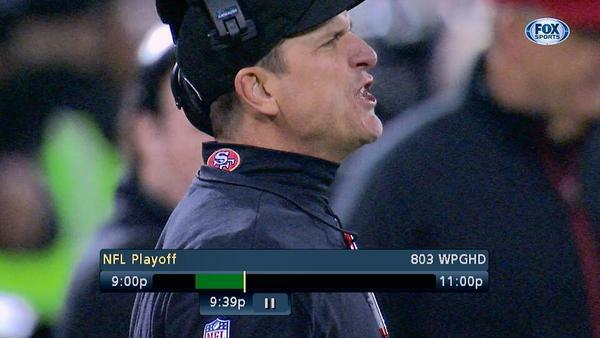 To answer Trey’s question, above, you make like John Harbaugh and go cuss out some guy. On that (historical) topic, I’ve been critical of Beyoncé in the recent past, but I thought her performance at halftime was just right for this setting. A no-holds-barred pop experience by one of the top musical celebrities of the day is what the Super Bowl halftime show should be. Based on where the ball landed, I think the pass was uncatchable, so the no-call is correct. For what it’s worth, Mike Pereira agrees with me, though for a different reason. There’s something sort of ironic about the 49ers complaining about a lack of a pass-interference call on the last play of a playoff game, or at least Falcons fans think so. If you really want to Zapruder the thing, click here and have your heart contented. Also for Crabtree, he intercepted Colin Kaepernick’s first-half touchdown pass to a wide-open Randy Moss, so he probably should include that play in his analysis of the game. Penalties, early and late in the game, really are what doomed San Francisco. I think it’s fair to ask whether we should’ve seen Alex Smith in the game at some point. Who told you about Frank Gore? Who told you before kickoff the Ravens would win? Thanks for tuning into our Super Bowl coverage. Onward. *It really feels like the “sports year” ought to run from Super Bowl to Super Bowl, so we’re going to treat it that way around here. I’m not really sure what we’ll touch on between now and the Daytona 500, but there are a few items in the pipeline, so don’t worry. The slowest sports day of the year doesn’t come until July anyway.